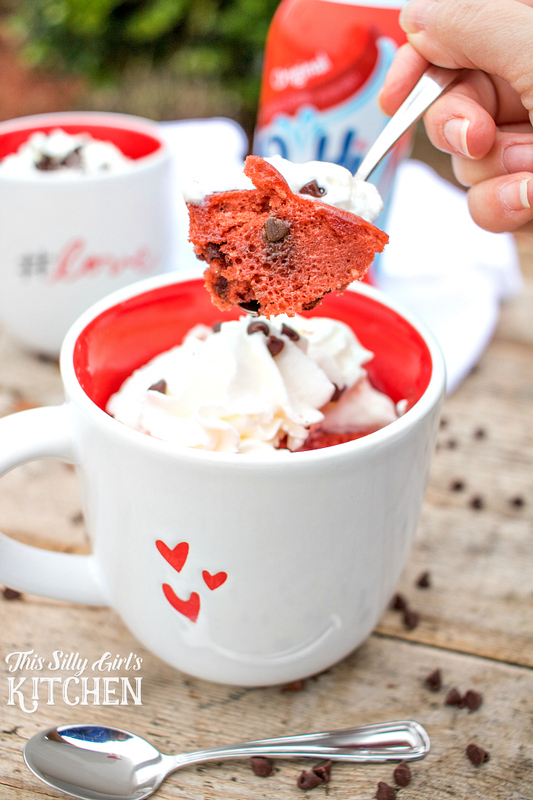 Chocolate Chip Red Velvet Mug Cake for Two, make this fast, sweet treat for your sweetie and you on Valentine’s Day! Eeek! Valentine’s Day is literally right around the corner! 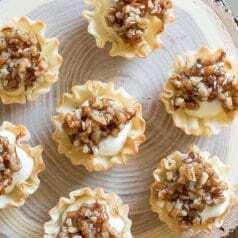 I have shared many desserts lately that would be perfect for the holiday. 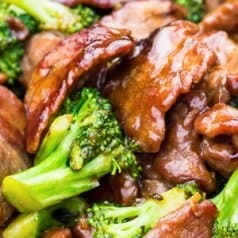 BUT, if you want something a little decadent and special… just for the two of you, then this recipe is it! 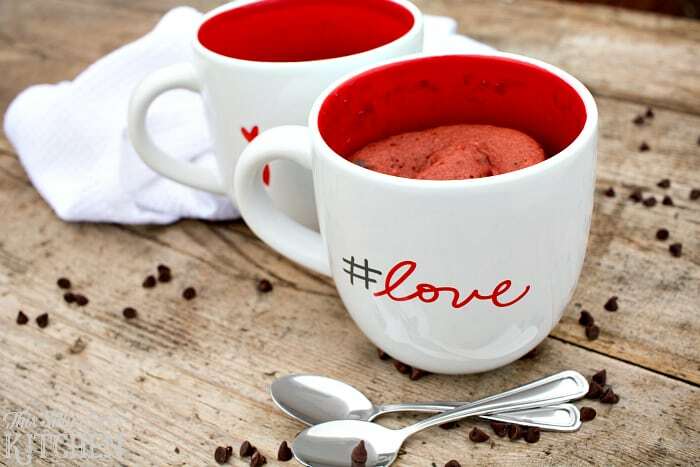 These little mug cakes take no time at all and are just the right amount of dessert to tease your sweetie! Mini chocolate chips, red velvet cake topped with Reddi-wip whipped topping, yum! You will be begging for more! Joy in the moment. There is joy all around us, we just have to take a moment to experience it. 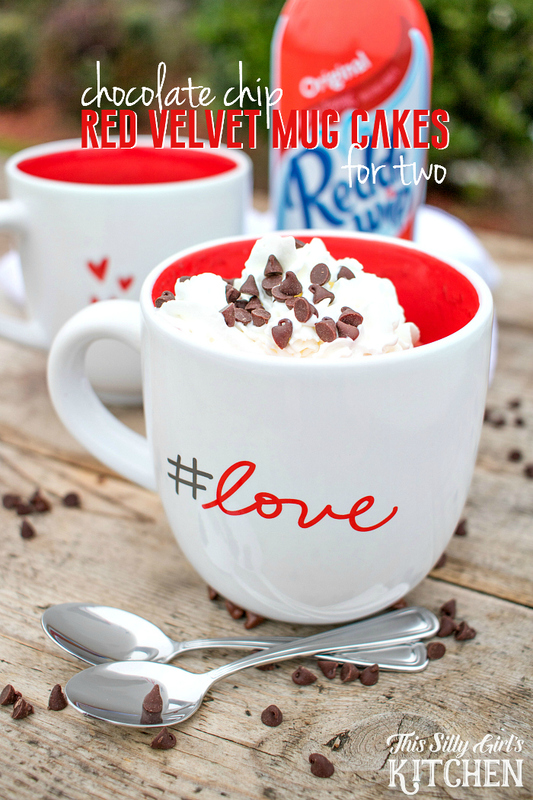 So #ShareTheJoy with your sweetie and make them this special treat! 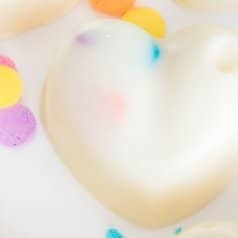 In a medium sized bowl, mix together the milk, vinegar, flour, sugar, cocoa powder, baking powder, salt, oil and food coloring until smooth. 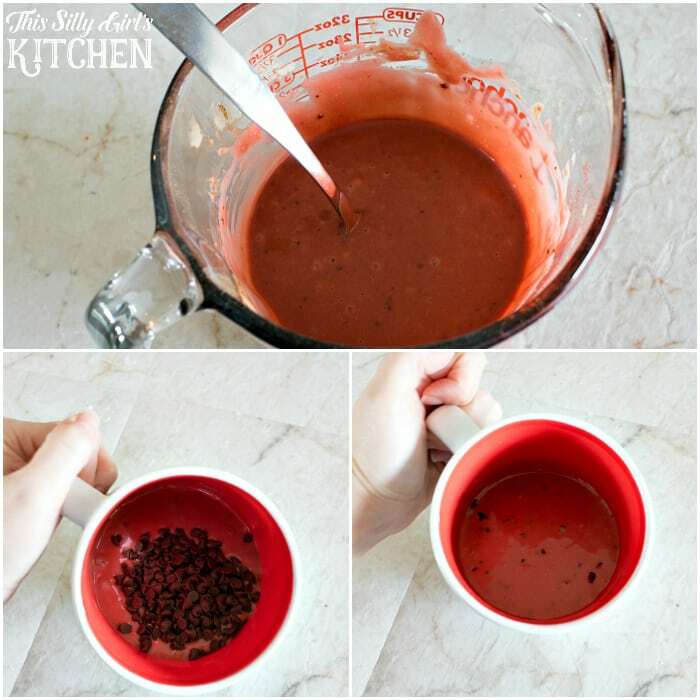 Place equal amounts of the mix into two microwaveable mugs. Split the chocolate chips between the mugs and stir in. Microwave on high for 3 minutes each or until a toothpick inserted in the center comes out clean. Be careful, the mug will be extremely HOT! 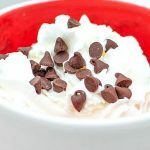 Top with Reddi-wip and more chocolate chips, serve and enjoy! This is so insanely easy, I can’t believe I have never posted a mug cake before! YAY! I am so happy with how these came out, super cute and yummy all at the same time! 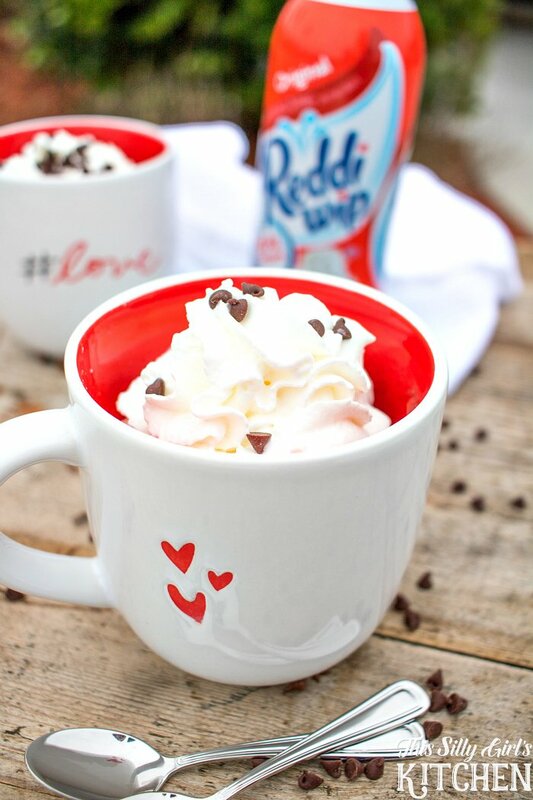 If you are looking for a little bit of a lighter Valentine’s Day treat, cut up your favorite fruit and add a whoosh of Reddi-wip, made with real cream and it’s only 15 calories! 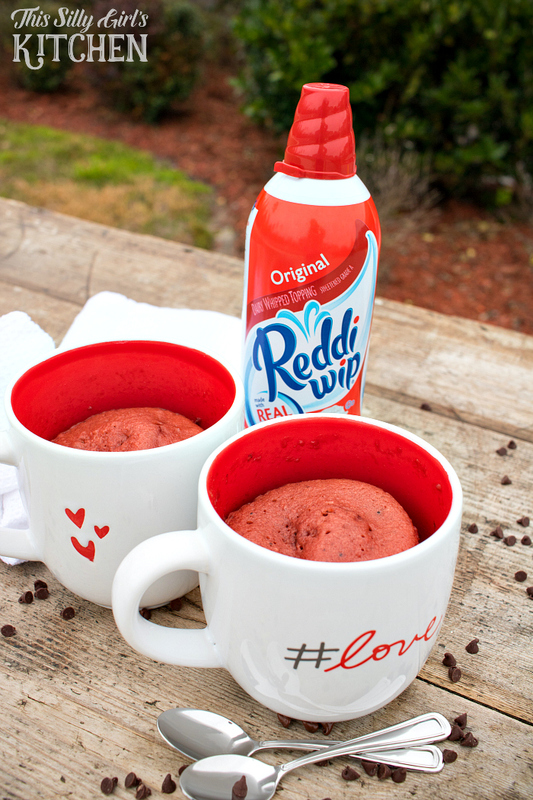 Mug cakes are so mu…ch fun to make (and eat!) 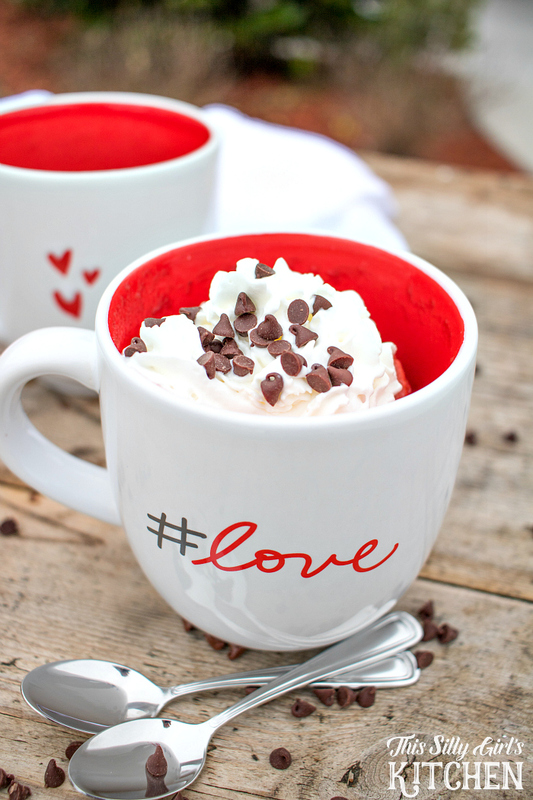 Your mugs and recipe are perfect for this Valentine’s day!